As I have alluded to before, my absolute favorite time of year in Lake Tahoe begins with September. September brings a turning of the tides. 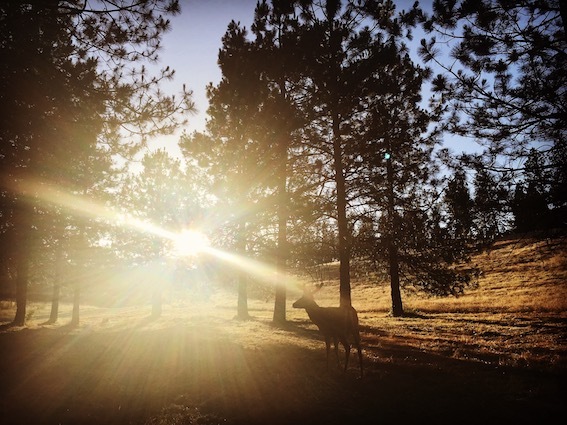 A crispness visits the morning air. The aspen leaves begin to find their sherbet hues. And, maybe most importantly, the crowds thin out significantly. If those three reasons aren’t enough to create the time to head up to Lake Tahoe this month, then maybe these other amazing reasons will convince you to do yourself this one favor. This is the time of year when lodging is at its cheapest. September is the beginning of deals-a-plenty when it comes to finding a place to stay around the basin. From hotels to lodges, from privately owned places available on AirBnB to ski area condos, the amount of money that you can save if you choose to visit Lake Tahoe in September is astounding. Be sure to do your homework on the various discounts that are available as they are quite numerous. If you have a favorite place already in mind, try calling ahead and asking for a low-season fall discount. Chances are you are going to save a few bucks at least. The weather is phenomenal. A great aspect to September is that the sun is shining, but the temperatures aren’t too hot that you can’t get outside and enjoy yourself. In fact, the temperatures are about perfect with an average of low 70s in the daytime and high 40s in the evenings. Although the nights can be cool (nothing that a light jacket won’t fix), a side benefit of these cool nighttime temperatures is that it makes for impressively clear nights that make the stars sparkle spectacularly. The restaurants are less crowded. September is the time of year to become a food critic in Lake Tahoe because you are going to get exceptional service no matter what your budget. If there is a dining experience that you are yearning for but have thought it out of your price range, now is the time. If there is a gourmet experience that you thought was too difficult to get a reservation for, then September is your chance to make your taste buds sing with glee. TEDx Talks: A great way to meet empowering, inspiring and influential people, TED Talks have changed the way innovation is shared. Coming to Lake Tahoe once a year, this year’s showcasing has the theme of “Building Bridges.” Happening Saturday, September 8 at the MontBleu Resort, it is an event worth attending. 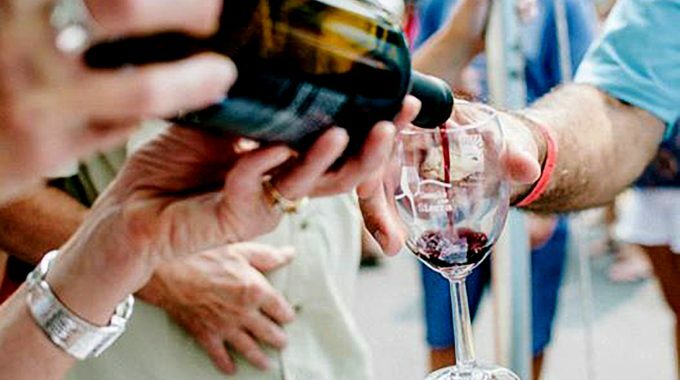 33rd Annual Lake Tahoe Autumn Food & Wine Festival: A local favorite, the Lake Tahoe Autumn Food & Wine Festival is an excellent way to taste the most prestigious flavors when it comes to food, wine, spirits and handcrafted beer. Offering an immense amount of food and drink as well as the chance to rub shoulders with celebrity chefs and learn from culinary demonstrations, seminars and wine tastings, this is definitely a worthy outing. This amazing event is a weekend affair and runs from Friday, September 7, to Sunday, September 9. 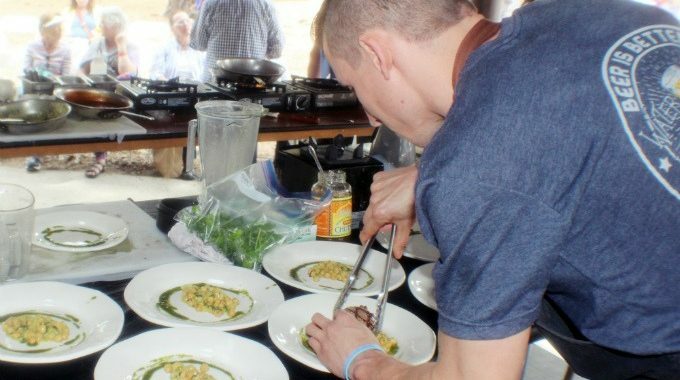 Sample The Sierra: A festival that celebrates the farm-to-fork movement, this South Lake Tahoe foodie event is a gathering of local chefs and restaurants as well as neighboring farmers. Combining their magic to create delicious food samples that are paired with wine or beer creates a wonderful event for the entire family. Beyond food and drink there will be a festival marketplace with artisan crafts such as homemade jams, soaps, honey, olive oil, fine art, jewelry and crafts. This festival is on Saturday, September 15 at the Bijou Community Park. 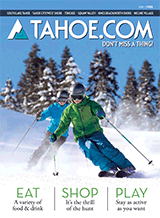 Please be sure to visit our Daytime and Nightlife sections to learn about other superb events happening around Lake Tahoe.